Ha! I love it!! best one I've seen today!! I grabbed your button....hey it's great. I am so glad that you finally got one done up!! will try again in a bit. This is hysterical. I hope her judgement doesn't vascillate as much as her facial expressions! 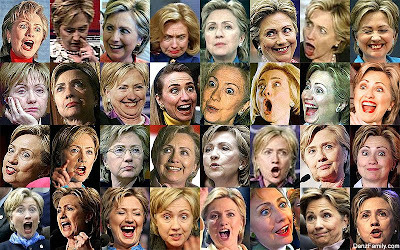 Long time no see, I thought she looked sort of frightening in some of these! Carol, I agree. I know that as a kid I made the weirdest faces but if I did that now, I would fear being perceived as a little crazy!